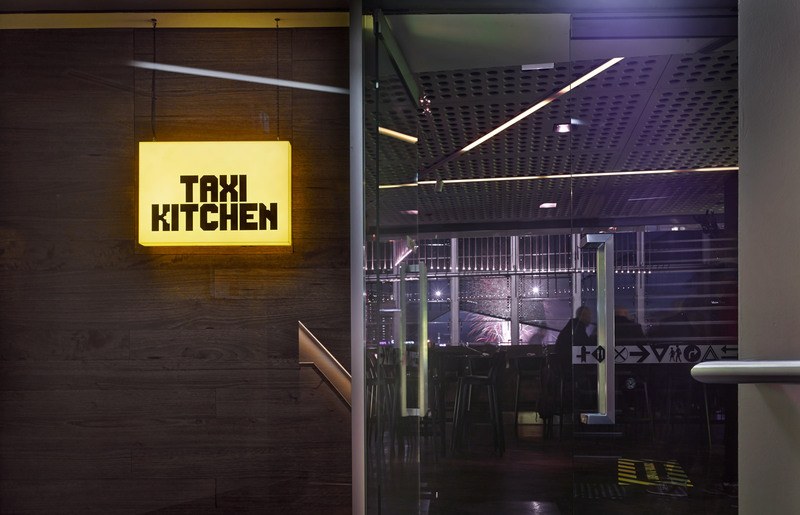 For over a decade Taxi Dining Room delivered high quality fine dining from its prominent location at Melbourne’s iconic Federation Square. 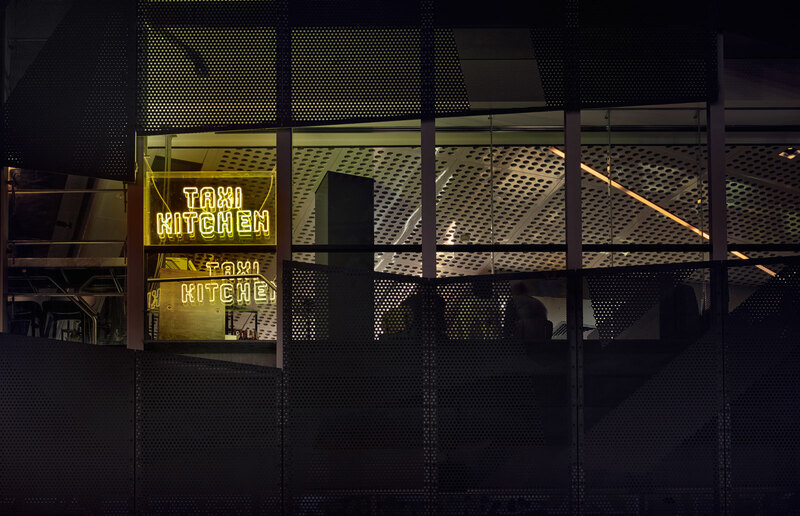 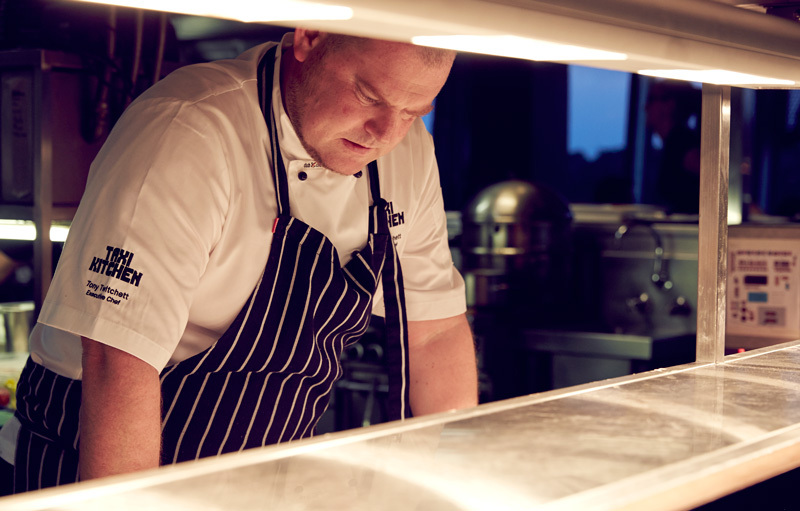 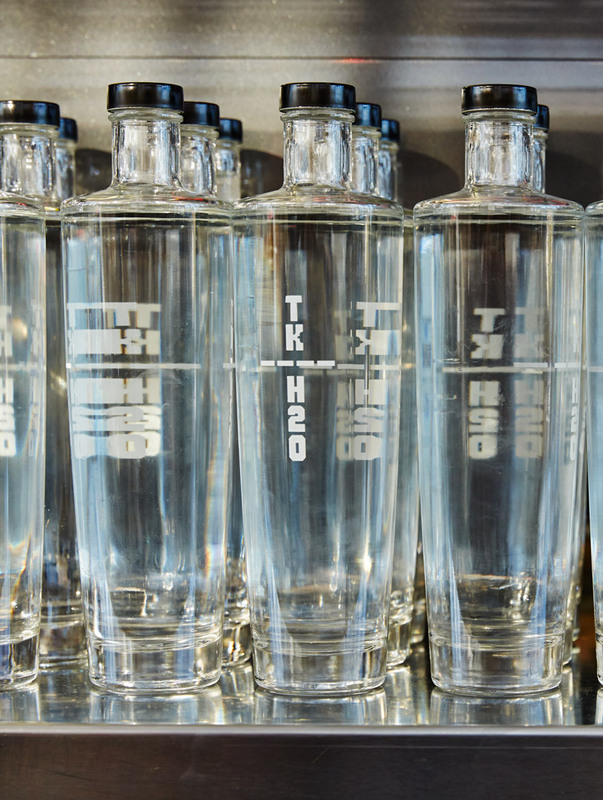 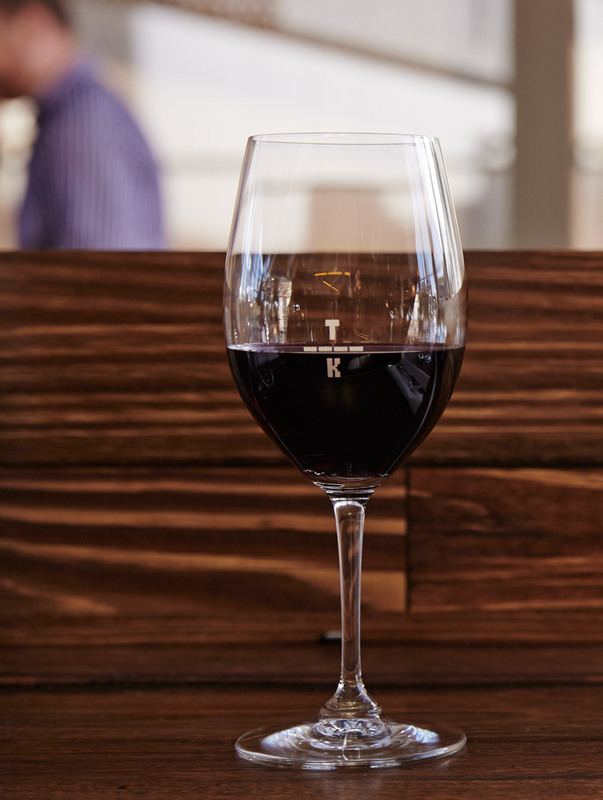 Acknowledging a shift towards more informal and value-focussed dining, the venue’s owners closed the restaurant in February 2014 for a refresh and repositioning under a new name, Taxi Kitchen. 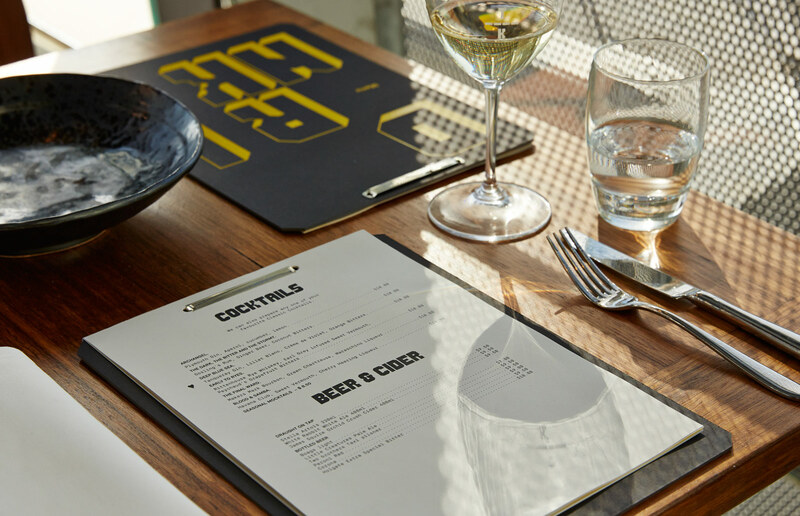 Hospitality specialists Eades and Bergman were briefed to deliver a more relaxed and engaging space, working to a tight timeframe and budget. 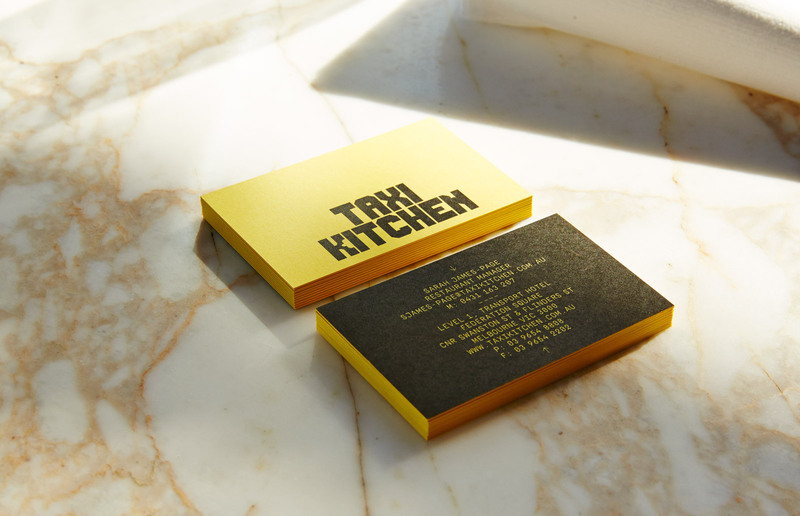 We collaborated closely with the designers and client to craft a complementary identity. 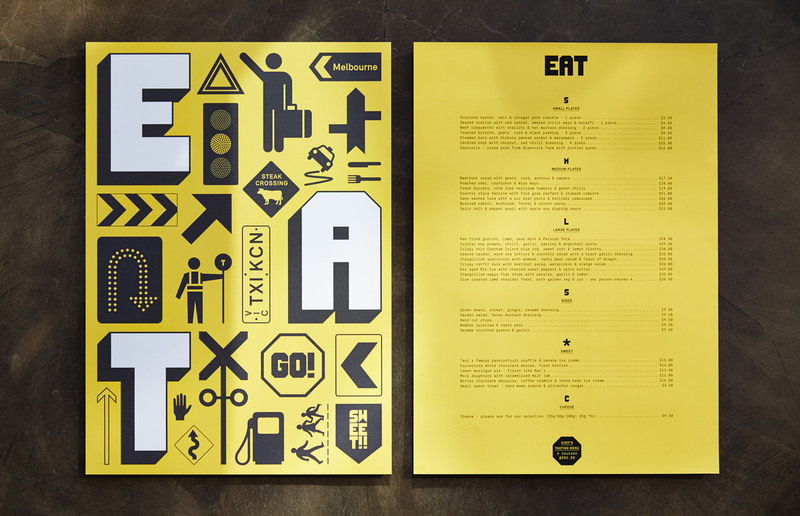 A robust, confident logotype is the core element in a system imbued with a sense of fun and play. 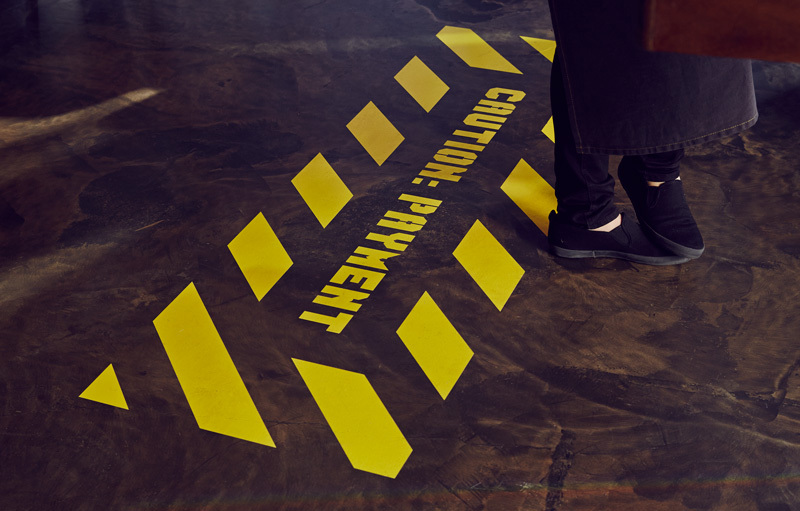 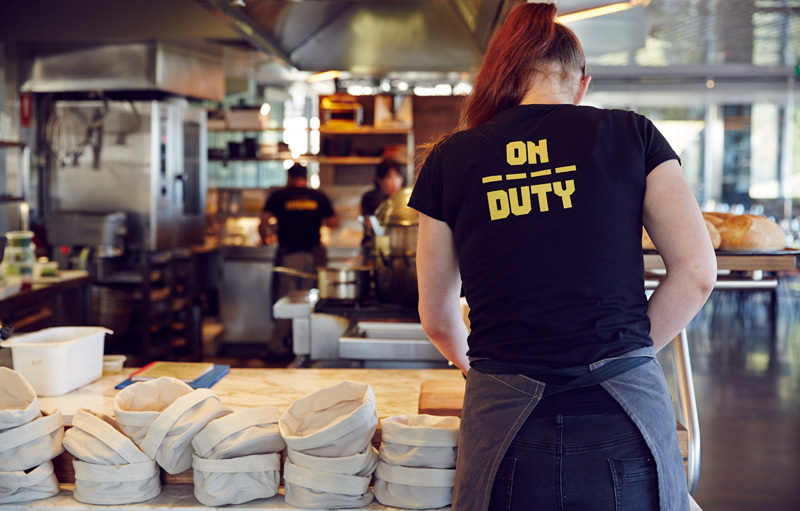 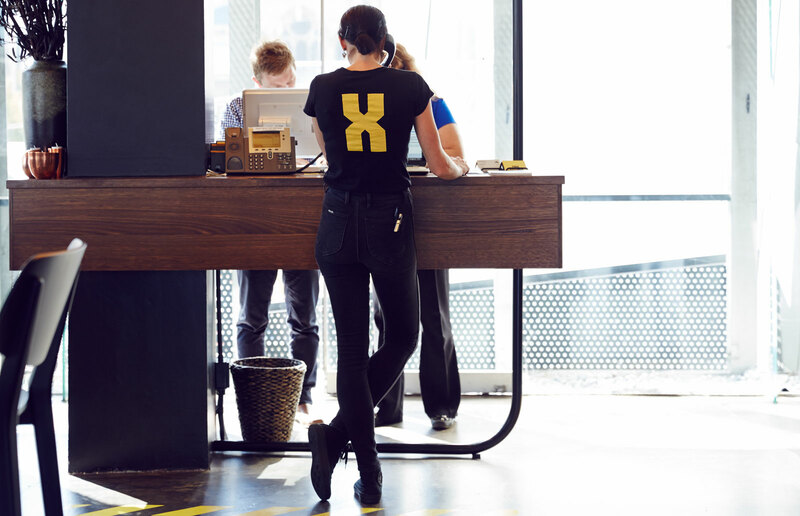 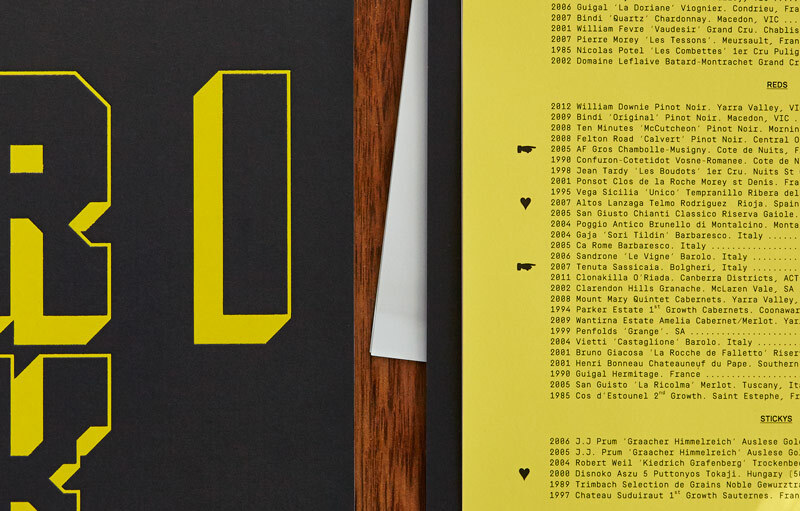 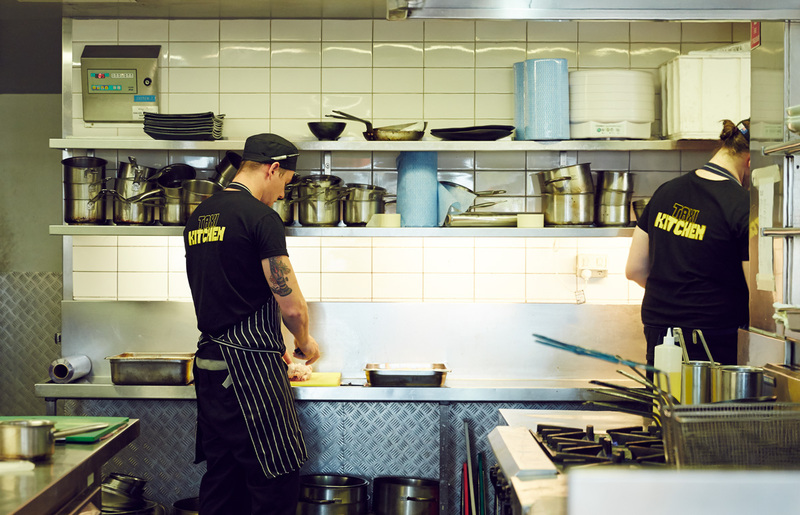 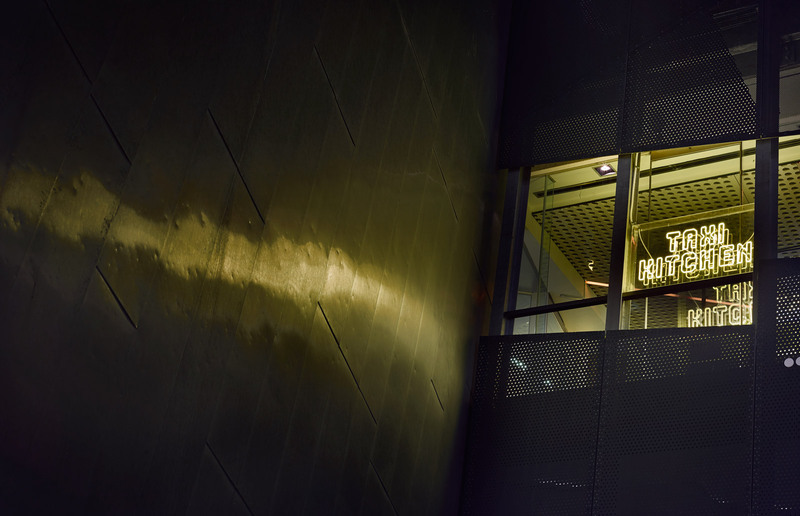 The existing colour palette of yellow and black was retained, and elements referencing street signage are utilised on an extensive range of items including staff uniforms, glassware and menus. 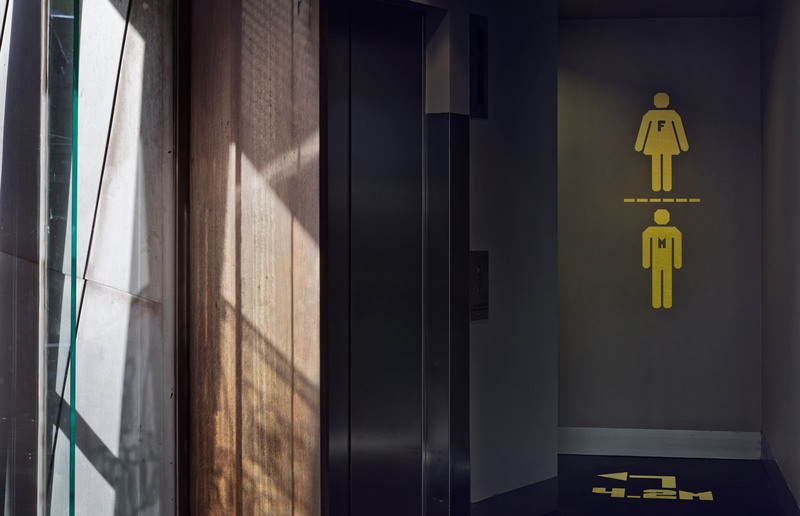 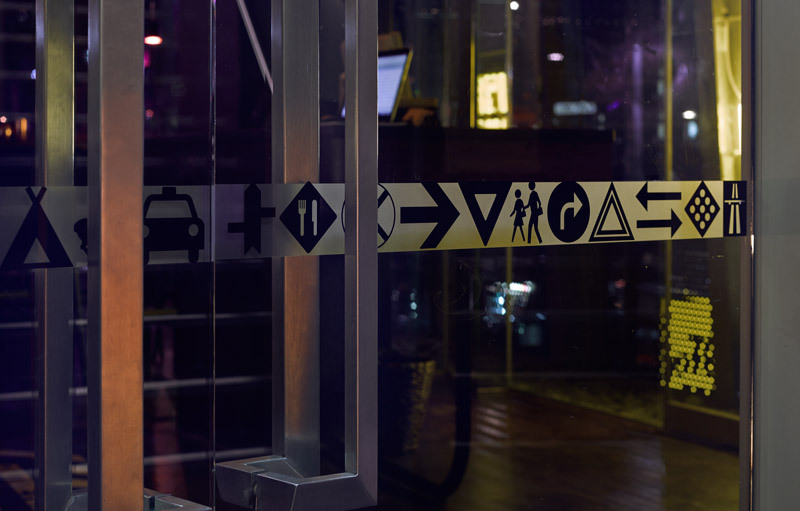 Signage was a particular focus of the refresh, fulfilling both functional and aesthetic criteria.